On 16 October last year, the Sun turned red over London and other southern parts of the UK. People across the country documented the strange phenomenon on social media. Meteorologists figured out the reason pretty quickly—plumes of dust from the Sahara desert and the Iberian Peninsula got caught in a cyclone from Hurricane Ophelia. The dust became negatively electrically charged on its way up to the UK, where it partially obscured the Sun, turning it a dim red-orange. New research presents the results from an analysis of the plume, and the findings might help improve weather forecasting in the future. The team from the University of Reading and University of Bath observed the dust cloud from several weather observatories, which were able to sample the dust and measure how laser light bounced off of it. A lightning detector from one of the sites was also able to measure the increased electric charge of the cloud. 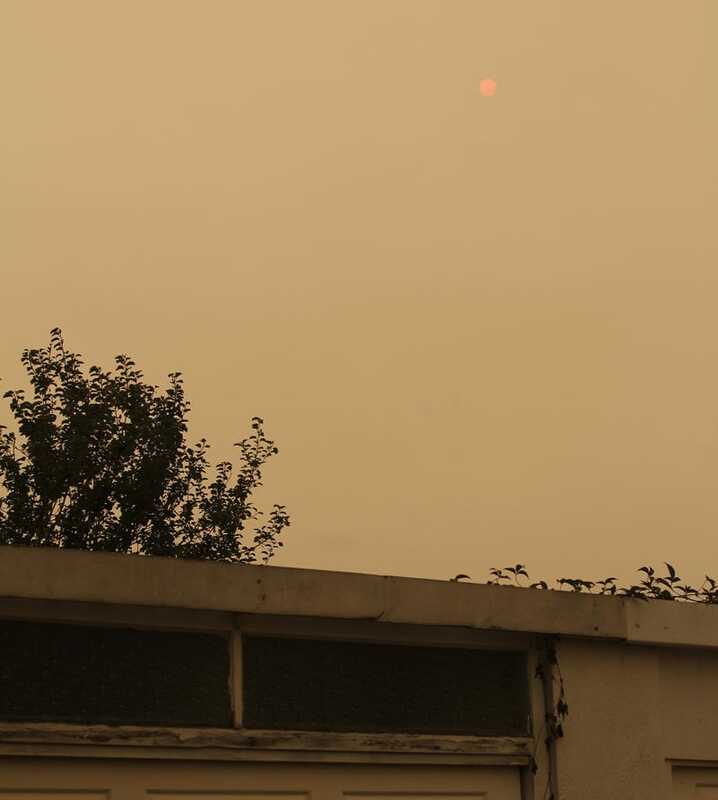 First, how the dust turned the Sun red: “The reddening of the sun arises from preferential scattering of blue light, as light is attenuated within the optically thick plume,” according to the paper published in Environmental Research Letters. The dust prefers to scatter some colours of sunlight over others (and weakens the light), resulting in the redder-looking Sun. All of these combined elements could be important for trying to predict the weather (something that, as we’ve said before, is not easy). These particles may have influenced the clouds forming that day, according to the paper. Falling particles, as well as their observed electric charge, might accumulate more water molecules—water molecules are shaped such that they have a lot more charge on one side of the molecule than the other, so they have a tendency to cling to things. Indeed, one of the observation sites did measure a descending cloud during the period after the dust clouds arrived, though correlation is not causation.